I love to celebrate life! And when my birthday arrives, I just can’t let it pass without gathering my girlfriends, and celebrating in our garden over a home cooked meal. Breakfast, would you believe is easily my most favourite meal, so I thought this year we would create a birthday celebration in the morning, and serve a scrumptious brunch. In addition to my love of brunch, is champagne! I love champagne, of any variety, and I thought creating a mimosa bar would create another fun element to the celebration. On this occasion I served non-alcoholic champagne aswell, so I didn’t miss out – considering baby is on the way! Creating a Mimosa Bar gives you the opportunity to mingle with your guests, rather than being stuck in the kitchen preparing lavish cocktails, that can chew up your precious time. By positioning the Mimosa sign by the bar, it takes the guess work out for your party guests and makes it super easy for them to prepare their mimosa just how they like it! You can easily make about 8 mimosas from every standard 750ml bottle of champagne. Based on a party of ten gorgeous party guests, we recommend 3 bottles of champagne, as that will give everyone at least 2, maybe 3 mimosas. On this occasion we offered three different types of juice and fruit. You are most welcome to provide any number of juices and fruit. I was so thrilled that Alison from Just Add Confetti could create some stylish event stationery for the celebration. A gorgeous Mimosa Bar sign, aswell as labels for the fruit juice, fruit aswell as place cards for the table. 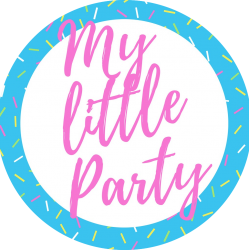 Alison has generously offered the printables complimentary, that’s right, if you click here, you can download them for FREE which will give you the opportunity to create your very own Mimosa Bar for your next celebration. Interested in further details of the celebration? Like um, lets say the brunch itself? Of course you do! We had the great pleasure of having Jodi from A Slice Above create the incredible naked cake masterpiece. The birthday cake was a deliciously moist vanilla cake with strawberry buttercream, it was an absolute dream of a cake. Topped off with a gorgeous arrangement of flowers and a beautiful surprise, Jodi created a personalised cake topper! Melissa from The Peppertree & She created this incredible vintage lace backdrop, with blush pink and gold accents, under a peony garland arch. It is absolutely stunning! We had great fun gathering in front and taking shots of ourselves. You can do this too, be sure to follow The Peppertree & She on social media, so you can be the first to know of all her exceptional designs and you can hire one of her fabulous backdrops for your next celebration. There is nothing more important to us than long lasting memories from any my little party event. 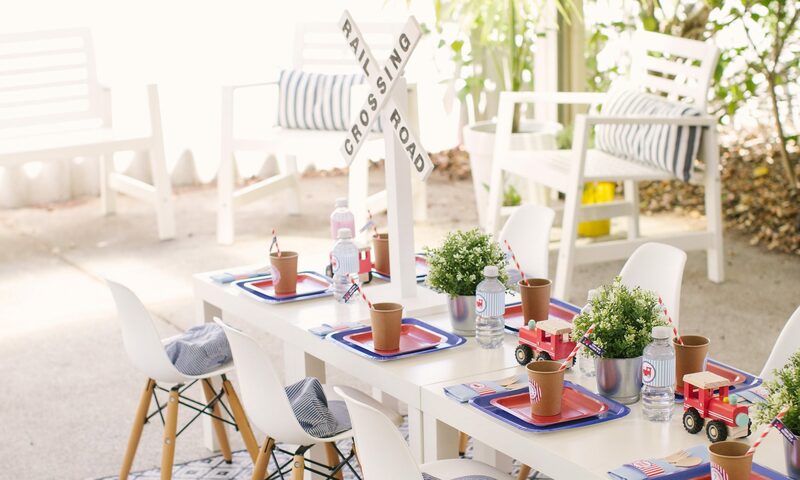 Felicity from Styled by Felicity is an incredibly talented photographer who captured all the important details of this fun celebration so well. I like to use my imagination and put extra effort into decorating a table. On this occasion, I chose a palette of three different colours, pink, gold and white as inspired by my favourite colours. And presented my favourite flowers in glass vases down the centre of the table. I was eager to show my gratitude to my friends for coming to celebrate with me. I really enjoy creating little gifts. On this occasion I framed inspiring quotes in small white frames. I do understand that motivational quotes are not to everyone’s taste, so did suggest if they don’t like the quote they can replace it with a picture of me. I wonder how many of them made the switch. So there you have it, the birthday brunch complete with one very special mimosa bar, and hopefully some giggles along the way considering the smattering of my silly humour throughout this post. I hope the steps provided at the beginning help you create your very own mimosa bar for your next celebration! Previous PostPrevious booking a photographer for your next little party! Next PostNext caution. construction party zone ahead.